Sarmad Sehbai is an enigma. He always provokes extreme reactions: you either hate him or adore him. Indifference towards his work is almost impossible. Unfortunately, Sarmad's name has recently found its way into many a scandal sheet. He is constantly disparaged for being a hedonist, a libertine. Sarmad Sehbai, however, cannot be dismissed so easily. It is time the enfant terrible of our literary scene was isolated from his caricature. It is time the curtain went up allowing the audience to gauge a potential that has remained heresy. A dimension that has been studiously obscured by an insecure literary elite, must emerge from the shadows, away form the lonely flicker of the traditional shama and into the glare of footlights. Sarmat Sehbai cannot be permitted his silence. It may be interpreted as complicity and cowardice. Ali Khan. In the early 70's you made a thrilling debut with your avant garde theatre and a new idiom in poetry. How come you left the scene after generating such a mood? Sarmad Sehbai. I was probably too green at that time and maybe I'm ''wised up" now. In fact, I didn't leave the scene; the scene left me for a while. You talk ab­out a certain kind of 'mood' and moods are not created in isolation. It was sometime in the late sixties that the children of Independence started having their teething pains. Born out of the lap of world wars and the awakening of the Asian and African countries, they shared both the optimism of a newly liberated world and the nihilism of war. This led to a violent outburst —­ a kind of poetic delirium. Something had gone wrong with their pre-natal existence. With their early stub of raw poems they experienced wet dreams of a new world. It was the poetic anarchy of a disinherited youth, termed as ''modernism". The urge for change, however, was threateningly obvious. I only shared this "mad mood" of the sixties and perhaps gave it a ''method." Khan. But this mood did not carry on. Perhaps it did not have its roots here? Sehbai. Yes, that's partly true. The difference came when some of us looked towards post World War Europe to seek our 'dadaistik' roots without realising the latent energy of indigenous cultures, and without sharing our predicament with the Afro-Asian world. Most of the poets who emerged with the modernist movement like a hurricane, have been swept away with time. They've either given up writing or have changed their stance. But this movement was not all that insignificant and can not be easily ignored. On the surface it was a war of polemic but underneath there was a strong urge to find one's self. The subjective essence of this movement was quite different from its objective manifestation. The anti-establishment impulse had created the anti novel, the anti form or the anti hero. It's a much later realisation that the alienation of this generation was confused with the alienation of the individual in the West. Terribly Eliotized and crucially Pounded, they could not understand the nature of their alienation. If absurdity was born in the West out of affluence, in Asia it rose out of scarcity. Here, it is the alienation of man from his heritage and productivity. But even with their infantile Dadaism, this generation did challenge the basis of the existing values and visualised a fresh world view which soon lapsed into oblivion by an overemphasis on obscurantism. Khan. Why do you think this happened? Sehbai. In the recent past, we have experienced a staggering phase of regression.­ The process which started with the social realism of Manto and other progressives, released our Literature from the medievalism of dastan and ghazal. Both these forms are back in vogue thanks to the enthusiasm with which our so-called literary masters have embraced them. Our whole culture reeks of sickening nostalgia. Nostalgia is merely a human recurrence but if not placed in relation to the immediate present it degenerates into a narcissistic jaundice. With this background, the scene is suddenly usurped by megalomania and exhibitionism. Foppery is confused with art, sermonization with literature and glamour with recognition. One would rather flirt with this "broad" than be seduced by it. Khan. You were known to be an in­novator and a modernist poet but recently you've started writing kafis. Why did you chose kafi as a form of expression? Sehbai. Kafi or Wai has been the most powerful form in Sindh and Punjab and contains the landscape of these regions and the profile of a culture being rooted in this land. Apart from kafi, I have also adopted forms of bait doha and kissa which are equally suited to modern verse. Kafi and modernism are not in conflict with each other. It's the way you handle a form. Any form no matter how ancient it is, starts throb­bing with the touch of a poet. It is misleading to think that 'modernisatoin' implies 'westernisation' or 'indutrialization' of literary diction. There can be no modernism without an awareness of your past and living tradition. It will just be like driving without a back mirror, which could be suicidal. Khan. What about the ghazal? Sehbai. Ghazal because of its very medium and tradition demands a clas­sical discipline and one has to work with the given metaphors which have their origin in the Persian courts. It is also easily accessible. Younger poets try to break from the court mannerisms extant, and some of them did succeed in bringing out a freshness in this form. I am not against the ghazal, or for that matter, any form. But it still does not appeal to me. With the kafi, I feel at home. Khan. But your kafis are written in a language which might not be acceptable as Urdu? Sehbai. That is precisely my contention. The language I use is certainly not the so-called literary court Urdu. It is a natural outcome of an evolutionary process which existed and flourished all along outside the court. Some critics argue that there is no such tradition and only that language which had the patronage of the court would be chaste enough to be adopted for literary purposes. They seem to ignore the great masters such as Amir Khusro, Mira Bai and Bhagat Kabir who made intimate use of the language. By employing the same linguistic devices, I draw my inspiration from the contemporary and classical sources of regional cultures. You will seldom come across our own landscape in our Urdu poetry. If it is a river it has to be Dadgla or Phurat. If it is a bird, it has to be a nightingale. The woman who emerges from this poetry is not the dark, dusky Dravidian goddess but an abstract Persian miniature. The other great influence comes from the West, which gave to some poets, the feeling of being international. This myopic view alienated them from their own roots. I think it is time the prodigal son came home. Khan. Your early poems speak of a dif­ferent technique and a different diction specially your long poem "Teesray Pehr kee Dastak." Sehbai. I used the film technique and broke away from the narrative style of the nazm using flashbacks and sudden switch overs from the realistic to the surreal, like you cut in a film. I also used the recurrent linguistic pattern evolved in the cities. I did not use the traditional connotations of words but by turning a phrase or an image from the present or future, attempted to destroy the traditional meaning. It's a kind of de-sublimation. Khan. You mentioned 'a new genesis for our culture'. What do you mean by it? Sehbai. We did begin to feel its pulse sometime in the early 70's and it still throbs under the city's macadam. By the new genesis of culture I mean a new Adam and Eve who break through the gilt frame of a court-oriented garden of dead metaphors. In other words, to discover the new social man on earth rather than on metaphysical planes. Our literature has been dominated by an extra-territorial mythos which has been fondly cuddled by the court, although the courts do not exist any more. Yet we are caught up in this tradition and our literature has remained academic, elegantly false, at home with a fictitious reality. The culture of the people was banished and exiled. The other tradition is of anti­-court poets who embraced this exiled world of God's plenty. In fact, this tradition is the jugular vein of this culture. Khan. Are you referring to the Sufi tradition of the subcontinent? Sehbai. If you wish to term it that way, yes. But the word 'Sufi' has been misinterpreted and at times, deliberately — which is being unjust to poets such as Waris Shah, Shah Hussain, Shah Latif and Khwaja Fareed who were not just mystical bards but the very sources of our consciousness of which we have been deprived due to our literary criteria and the educational system we have. Khan. When did you start writing plays? Sehbai. I just bumped into this form. I had never considered drama as some­thing worth trying but I was looking for a job in 1968 and I got one with PTV as scripts producer. In this job I had to know about drama, so I read a lot of stuff and wrote one. Sehbai. Yes, and with this play the trouble started. Both myself and the producer were under fire for producing such a play. But by this time I had discovered the inherent power of this form and wrote another one. Not for TV this time. I looked around for a stage but found it impossible to produce the play as the Arts Council, La­hore was busy producing pale copies of drawing room comedies such as Khalid ki Khala and Aap kee Tareef. 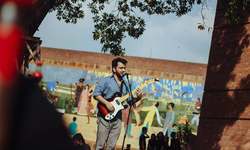 Two well­ known dramatic forums of Government College and Kinnaird College, Lahore were monopolised by an Anglo American crowd who would prefer a Moliere or a Shaw to an original play. In fact K.C and G.C.D.C had never pro­duced an original play by any local writer up to that time. The play I had written was about young people of the urban middle class. It was a kind of rehearsal play where we did away with props and decor and the whole action was to be mimed. It worked very well. Later, the same play was produced in almost the same form at the Kinnaird College Drama Festival where it won the best play award. It was called 'Dark Room'. Meantime, Dr Ajmal, then principal of Government College had asked me to give him a play for the Government College dramatic club. I gave him a Punjabi play, Toan Koan, which he was very keen to stage. But there was strong opposition from the monopoly group of G.C.D.C. In spite of all this, Dr Sahib succeeded in getting it through and the play was produced. It got a tremendous response. Khan. What was the reason for the suc­cess of these plays? Sehbai. I believe it was their realism. Realism in the sense that these plays didn't take you to a pseudo world of mistaken identies but faithfully pre­sented actual social conflicts. Brecht says, "The audience is not sitting only in the theatre but also in the world". When you isolate theatre from the rest of the situation it only serves as a cathartic dose. Khan. Why didn't you continue writing plays? Sehbai. 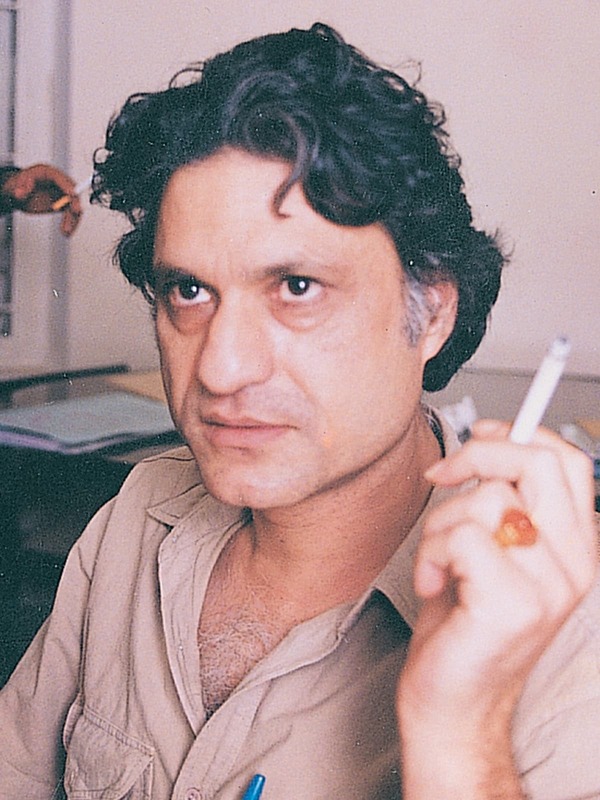 I did write a couple of plays which were staged by Government College, Kinnaird College, National Councils of the Arts and Lahore College by amateur actors but in 1975 I worked with professional actors and produced a play called Hash at the Art Council which was about drug addic­tion among the young people of Pakistan. 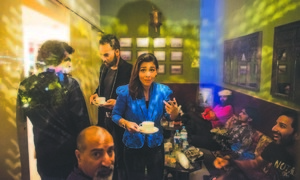 Talat Hussain and Tahira Naqvi did the leading roles while Farooq Zamir directed the play. 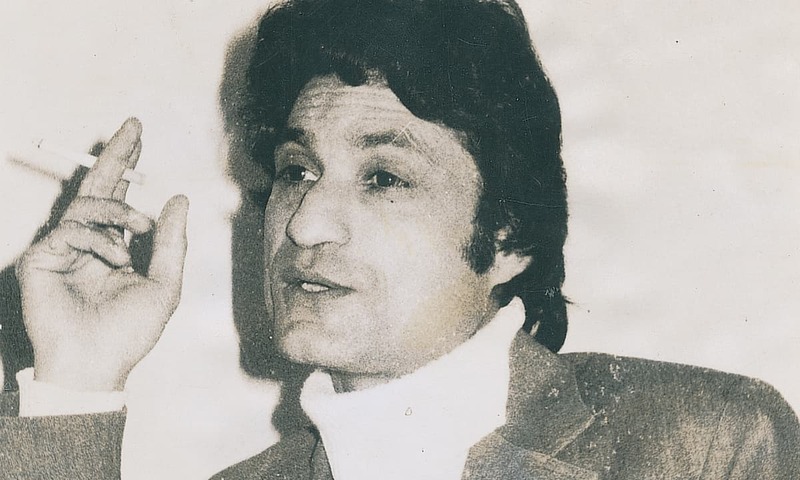 In 1976, another tragic farce entitled Ashraf-ul-Makhluqat was put on stage at the Arts Council but was taken off within the first week. Sehbai. The governing body of the Arts Council gave a very plausible reason — that due to the rains the roof of the auditorium could fall any minute. It is interesting that the roof did not fall until it was demolished after more than five years and the dance classes continued on the roof of the same auditorium without any danger. Khan. Did you write any more plays? Sehbai. Yes. I had written a full-length musical comedy called Suno Gup Shup in 1971 which Mr Shoaib Hashmi was producing. Rehearsals were under way and some of the songs were also composed but then Mr Hashmi got a contract with PTV and the play could not be staged. Khan. Did you have anything to do with the PTV programme Such Gup? Sehbai. As much as the name suggests­ — that is, to the extent of some such and some gup. Mr Hashmi and myself had worked together on the production of Dark Room and had exchanged views on theatre in Pakistan. Mr Hashmi was enthusiastic about theatre bur then he chose the easy way out. 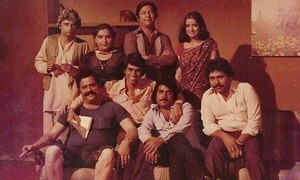 Since he had worked on my script for Suno Gup Shup, some of the songs and motif from Suno Gup Shup were used in these programmes with more or less the same dramatic technique . Khan. What do you think of our stage plays? Sehbai. There has been a recent uproar about the theatre boom in the country. The boom has been attributed to the lack of entertainment and the failure of our film industry. But at the same time it reminds us of the once great theatre boom in the late nineteenth century when more than thirty Parsi theatrical companies were competing with each other with their munshis and mujras, completely devoid of any reference to the freedom movement of the people of the subcontinent against British colonialism. On the contrary, it was feeding the massive theatre crowd with meaningless fantasies about Shehzada Gulfam and Sabz Pari. What was mistaken as a theatre boom was, in fact, an opportunistic and conscious collaboration of the British masters, Hindu lalas and rich Parsi seths. Unfortunately, it still remains the same old degraded art form in the hands of profiteering hacks. This powerful medium of social change could never become a part of our historical process. It could never present the actual conflicts and the live issues of our society. Holding up the 'mirror to reality' was far off; it could never even mirror reality. Khan. What is the responsibility of a writer towards society? Sehbai. Don't you think it's equally important to know the responsibility of society towards the writers? I will probably not dwell on the painful sub­ject of whether you can live off your writings or not. A great writer like Manto got 25 rupees for a masterpiece he wrote for a magazine. Conditions are not so pleasant for a writer in Pakistan. He has to think of ways and means to survive. As such, I am not very fond of assigning a role to the writer. He only renders unto God what is God's. Khan. 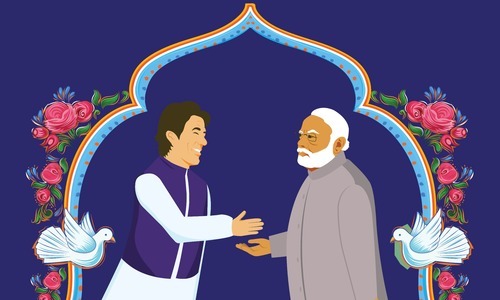 Did you have the Sufi tradition in mind when you wrote your Punjabi play Panjwan Chiragh? Sehbai. Yes, in fact it serves as back ground for the central theme, which is the mystical dance called dhamal. It is an attempt to reinterpret the legend of Lal Shahbaz Qalandar, the great sufi of Sindh, in purely contemporary terms. Qalandar is the one who breaks all inhibitions to chant the truth. Legend has it that once the great Qalandar was captured by the king and put into chains. One night he started dancing in ecstasy and as he danced the chains melted and he was free. I have jux­taposed the two images of the ecstatic dancers and the paralysed grave worshippers. The conflict is heigh­tened by this tension between movement and fixity; between dance and paralysis. There is this grotesque spectacle depicting the historical role of the sufis and the degeneration of this order into mujawari. They have lost the will to dance and to dance is to be free. Khan. What now — complicitous silence or more theatre? Sehbai. I hope to produce Suno Gup Shap in Karachi. The play if properly handled, can be a milestone. We intend to dress it up into a musical extravaganza. Tell me after you have seen it, if I have succeeded in implementing some of the high ideals I have set myself. This was originally published in the Herald's October 1984 issue. To read more subscribe to the Herald in print. It's good to bring this interview back to 'net' life, although at least the photographs in it "reek of nostalgia". 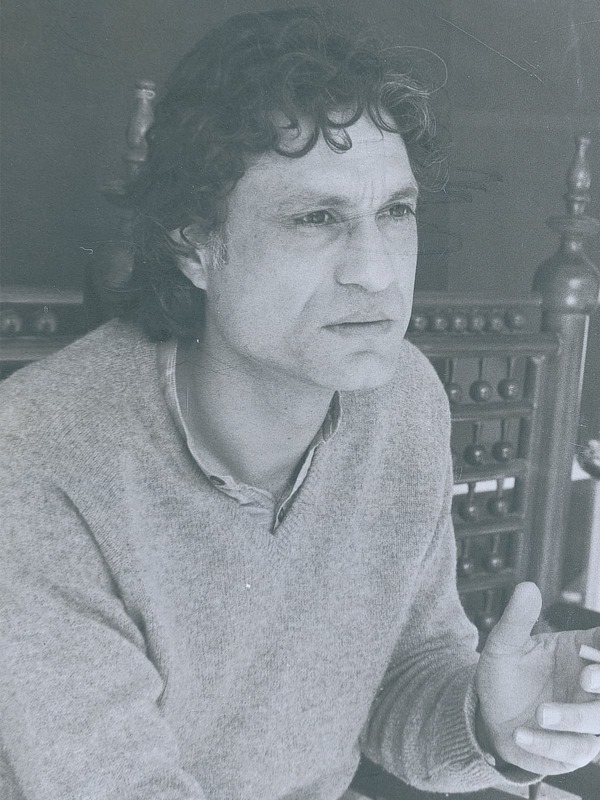 Sarmad Sehbai's plays were staged by GCDC at the Government College, Lahore, not only with the Principal's support but because of the interest and initiative that Prof. Rafiq Mahmood (who supervised both The Ravi and the GCDC at the time) took in Mr. Sehbai's plays. His early plays had much success there in the period as they had some original strength.